Black Friday – Is the North East prepared? Black Friday returns on November 25 and with the hype of sale shopping, being safe is the main concern in the North East. With the day approaching, the chance for high chain shops to prepare to lower the pricing of their products is closing. Safety precautions are in place for the protection of the customers and staff during the stressful time of Black Friday. North East’s Black Friday last year went out of control as arguments and fights happened within shops. The pressure for shop workers to keep control measures in check during shopping is too difficult to keep in place. Assistant for Curry’s/PC-World at the Intu Metrocentre said: “We are hoping it will be as busy. We will be more prepared and have more staff on anyway for the online orders. He added: there would be general guidelines on how to deal with situations or what to look out for. With the main concern being overcrowding, customers may force themselves in, not intentionally like an assault, they’re there to get a good deal. The Bargain mayhem has caused chaos in most shops over the last two years. 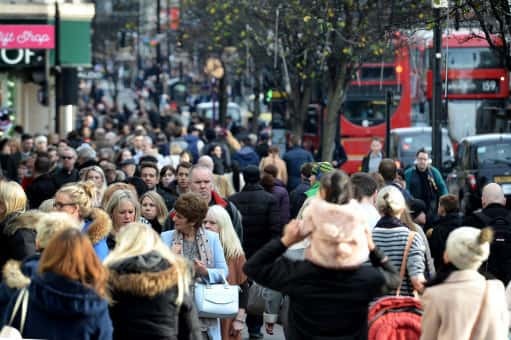 Acting Chief Inspector Karen Murray, of Northumbria Police, said: “In advance of ‘Black Friday’ businesses in the area have been spoken to and expectations around security outlined. “We appreciate the commercial benefits of the event but our message has been clear – if any shops and businesses are taking part then it is their responsibility to have adequate plans in place to safely facilitate it, ensuring the safety of all shoppers, staff and the public. “This includes having extra staff and security in place during the events,” said, Karen Murray. This year’s Black Friday is on November 25 followed by Cyber Monday. This was introduced to reduce overcrowding in shops on Black Friday.